Kinedu / New Progress Section Make-over! 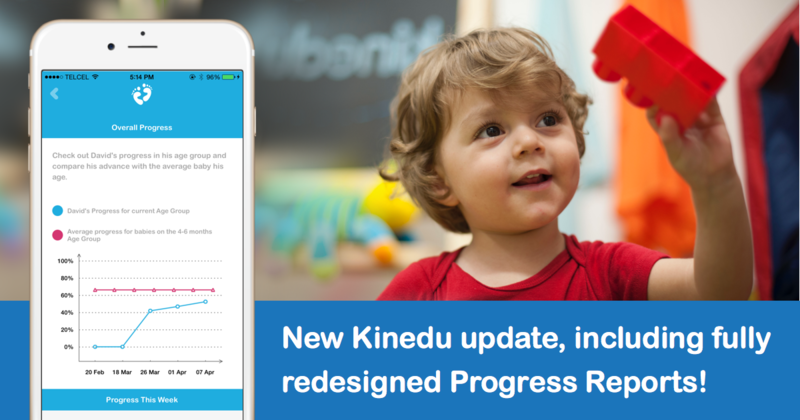 Have you downloaded the latest Kinedu version yet? Besides the improvements made to the interface, it includes a new and improved progress section! 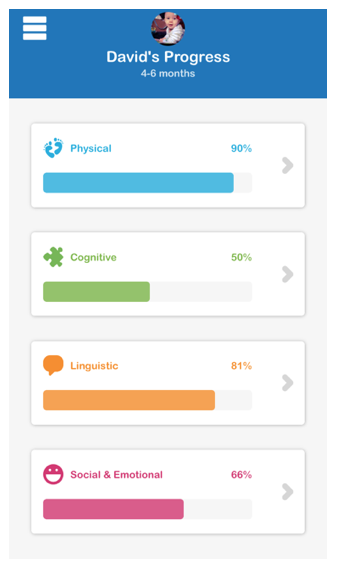 We talked to our users and found that one of their main concerns was knowing if their baby’s development was on track. 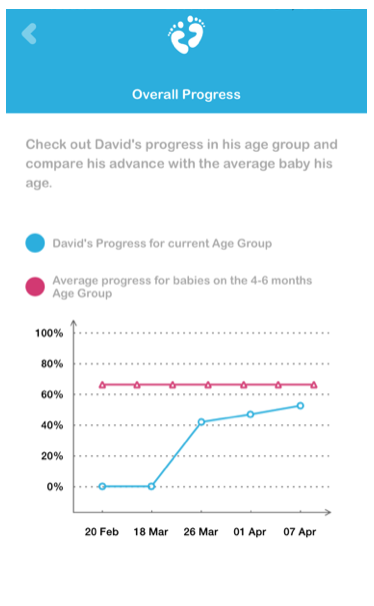 Knowing their baby’s progress in each area was not enough, so we decided to give parents more insights about their baby’s development in a simpler, clearer way – providing better guidance to support their little one. A child’s development changes so fast, sometimes showing very litttle progress in an area for a while and then suddenly leaping to a new stage– now you can get specific insights of each developmental area. Browse through each area and find out where your baby’s strengths and areas of opportunity lie! So, what’s new in the progress report section? Many parents wondered what they could expect from their child’s development within their age group. 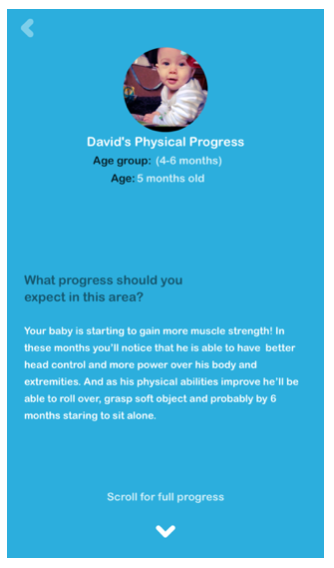 With the new progress section, now you will be able to have a preview of what your baby will accomplish in the following months! Exciting, huh? You will still be able to see your baby’s overall progress for each developmental area and compare it to the average baby his age. 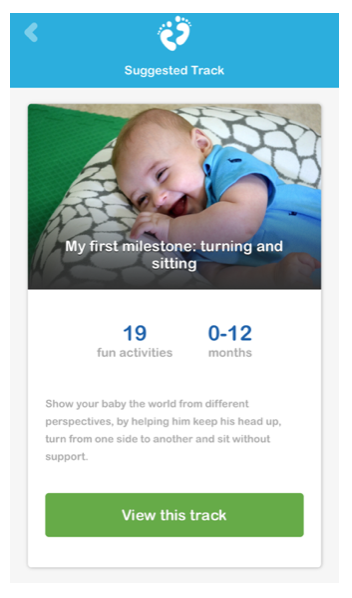 However, in the new section you are going to see how your baby progresses over time, giving you a weekly snapshot! Setting new goals and reflecting on past achievements has never been easier. Want to keep track of the activities and milestones your baby reached during the week? 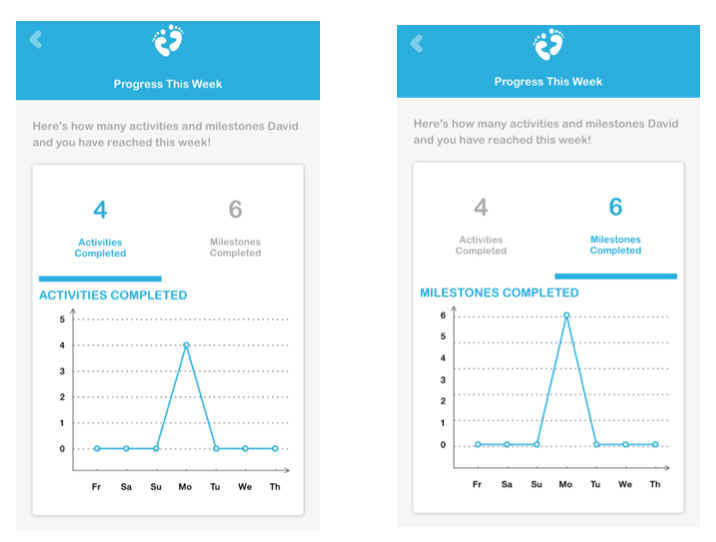 It’s easy with our new weekly progress section in which you’ll see clear graphics depicting the number of milestones and activities that were completed per week. We know it’s an exciting time for parents to witness when their baby reaches a new milestone, whether it’s his first smile, word, or step. If you are wondering which milestones your baby will be working on during the week, we’ve got you covered! Now you will be able to see which are your baby’s upcoming milestones. Lastly, we know you always want to continue strengthening your baby’s skills, so we have a Suggested Track section. By analyzing which milestones your baby hasn’t reached yet, we specifically select a Track that contains a set of activities that will help your baby reach those critical milestones! That way, if you want to focus on developing a specific skill, it’s easy to identify and do! Don’t wait any longer… try out the newest version with the improved progress section and more, here! 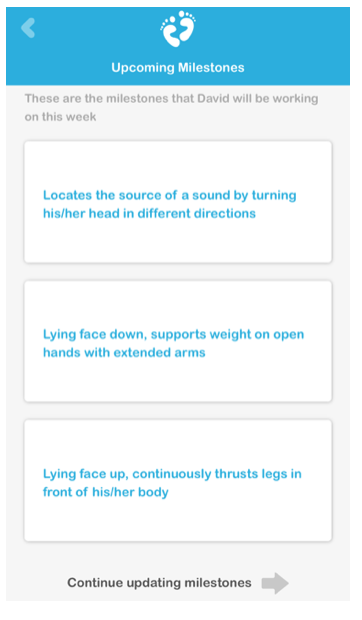 Learning to walk: Your FAQ answered!